"I still get really nervous, even though I guess I'm supposed to be good at public speaking because I'm a politician now," said newly-elected City Councilwoman Jewel Hurtado of the Fresno County city of Kingsburg, as she rushed in to give a talk at Fresno State University. Hurtado was getting ready to address graduate students about charting her own path in public service. Her son, Anthony III, and her fiance, Anthony Jr., were waiting outside. Baby Anthony was about to turn 1, and Hurtado still needed to nurse him, so his dad was watching him while she gave her speech. It has been a while since Hurtado was on the campaign trail making speeches regularly. But also, as she noted, most of these students are probably older than she is. At age 20, Hurtado is balancing motherhood, city council and a part-time job, while still pursuing her own degree. 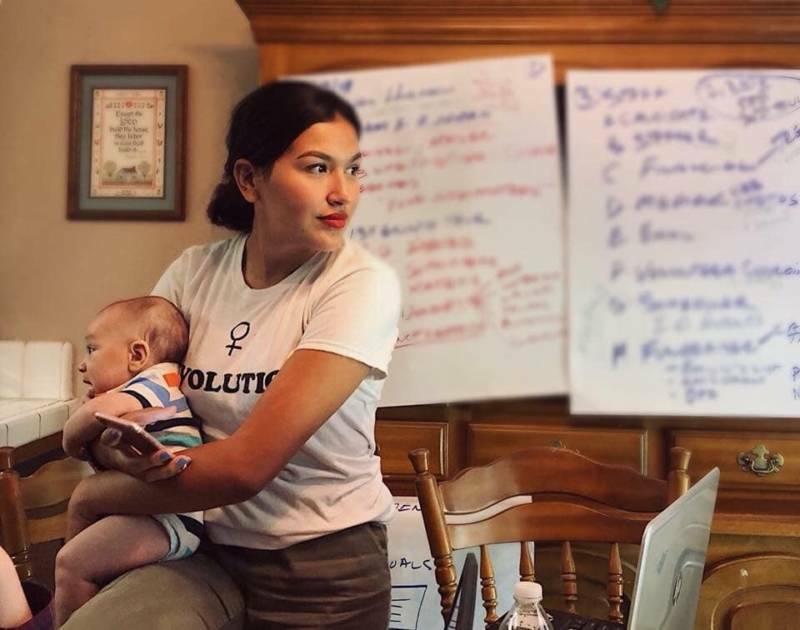 But she wouldn’t have it any other way: She tells the students she wants to have a say in the community where her son is growing up, and she wants to give a platform to unheard voices, like her own as a young Latina mother. "It’s funny to see me — Jewel, brown, city council — in a Swedish village, but it’s about representation and that is why I ran," she told the students. Today, around a third of the Central Valley city’s residents, including Hurtado, identify as Latinx but Swedish immigrants settled Kingsburg, and echoes of this history are everywhere. One of Hurtado's early mentors — and now her colleague — is Kingsburg Mayor Michelle Roman, the city's first female mayor. She helped spark Hurtado's interest in community politics when she came to speak at her high school a few years ago. When Hurtado was 18, she asked Roman how she could get involved, and Roman appointed her as a youth commissioner to the city's Community Services Commission. Hurtado now oversees this commission as one of her council assignments. "I get asked about Jewel — ‘How do you feel about having a 20-year-old on your city council?’ — and, well, I think it’s great, because she’s inspiring that next generation," Roman said. Hurtado’s skeptics have questioned her credentials because of her age, but politics and community organizing run in her blood. 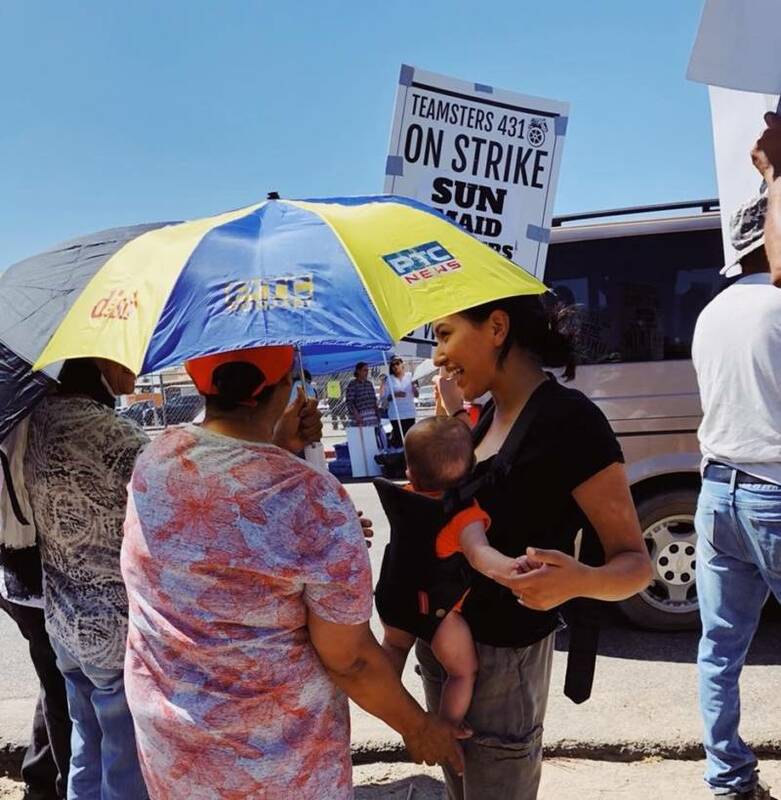 Her mother works for Assemblymember Anna Caballero and her grandmother and late grandfather worked side-by-side with Cesar Chavez, the labor leader and civil rights activist who co-founded the National Farmworkers Association. Hurtado, her fiancé and baby Anthony live with her grandmother, Obdulia Flores Rivera. When Hurtado was growing up, Flores-Rivera toted her to union rallies and places she felt were historically and politically significant, like the room where Chavez did his hunger strike. "I had thought, maybe the day I retire I’m going to run for city council, and then [Jewel] says, ‘Nonni, I’m gonna be running for city council,’ and I go, ‘Well, I guess there goes my idea out the window! Yes, mija! Yes! We need young people out there.’ I was so happy!" Flores-Rivera said. 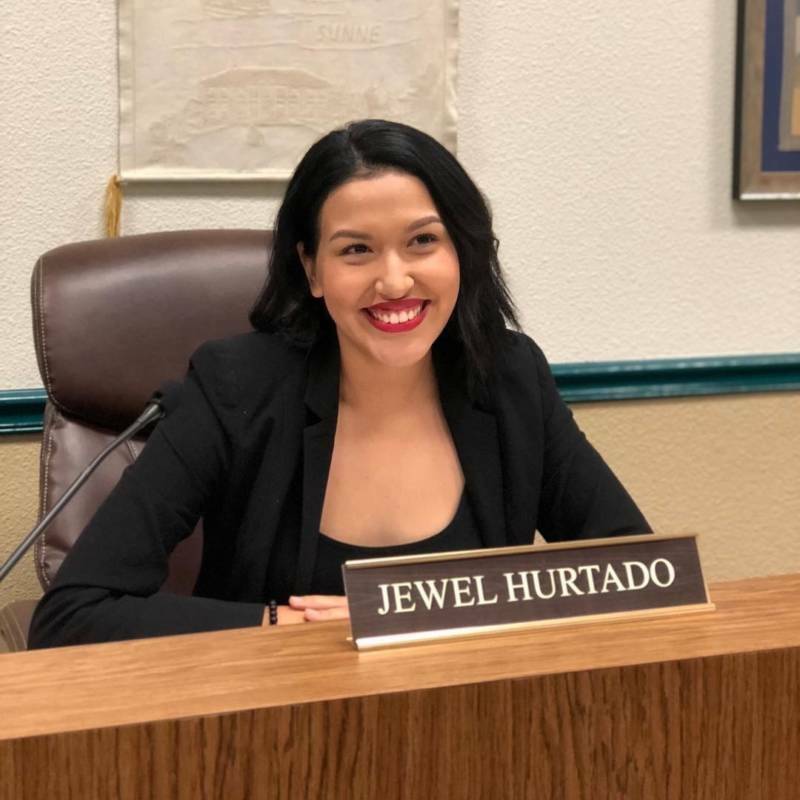 Hurtado said she ran on community, voices and values: “That's not typical appearing in a campaign, I feel like, because usually we're talking about jobs, or business or public safety, but all of those things fall under community." Despite the enthusiastic support from family and friends, the campaign was a grueling one for Hurtado. She schlepped door-to-door with infant Anthony in the blistering heat of the Central Valley summer. And when she wasn't campaigning, she was working weekend shifts at Victoria's Secret in Fresno and going to class at Fresno City College, where she’s majoring in political science. She and her fiancé, Anthony Jr., were also on opposite schedules while they were still figuring out parenting. He was working graveyard shifts plus some at a packing house and would be getting up for work when she was taking a break from canvassing. "I would wake up to hearing her bust through the door covered in sweat," Anthony said. During the campaign, Anthony III was having seizures, and about a week before election day, he was diagnosed with tuberous sclerosis. It's a rare multisystem disorder that can cause tumors in different parts of the body, and Anthony's are in his brain. He has monthly MRIs and EEG brain scans to monitor them. "I knew that my son was not OK throughout my campaign," Hurtado said, noting many people chalked up her concern to being a new, young mother. Anthony is doing much better now that they know what’s going on and they’re taking the right precautions, she said. In the midst of critics doubting both her capability as a candidate — and her instincts as a mother — Hurtado fought through to a victory by a margin of eight votes. Her supporters reached as far as the U.S. Congress. "This fight was not won very easily. Took a village, and we did it. And I’m still tired. But, I’m young, so they always tell me, you have a lot of energy so you can do it. If anybody can do it, it’s you," Hurtado said.